While summer offers the best, and the most, opportunities for outdoor adventures like hiking, swimming, camping and more, this outdoor season also means dealing with more mosquitoes, spiders, bees, ticks and other stinging and biting bugs. Most bugs are simply annoying, and the majority of bites and stings simply itchy, however, for some people certain bugs can cause major health problems. Fortunately, serious issues from bites and stings are rare, and there are some simple steps you can take to minimize your risk of ever getting bitten. No, insects don’t care if you have on an evening gown or pajamas. However, they are attracted to flowers and items they think are food. Perfume, sweet-smelling hair products and even brightly colored clothing can attract bugs to you. Next time you’re headed outdoors, choose earth tones and fragrance-free products to best help avoid attracting bugs and increasing your risk of being bitten. Additionally, covering your body by wearing long-sleeved shirts and pants will greatly lower your chances of being stung and bitten. 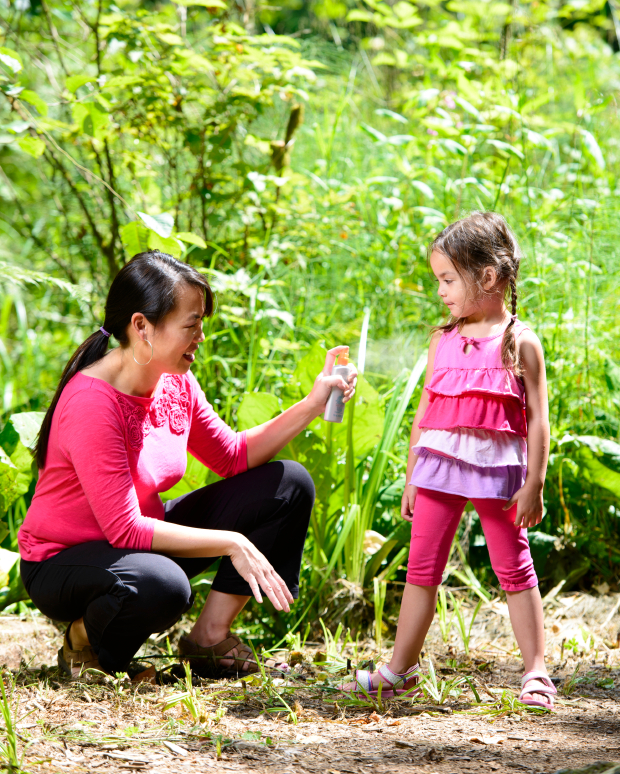 Bug spray is an excellent option for repelling bugs and preventing bites and stings. When out for a full day and/or night, remember your repellent will only continue to be effective if you follow the directions and reapply when necessary. When using both sunscreen and bug spray, you should apply sunscreen first and then your repellent. There are numerous bug repellent options, so whether you prefer an odorless insect repellent lotion, a traditional spray or even a bug repellent towelette, there is a bug repellent solution out there for you. Mosquitoes and flies breed and thrive in standing water, and ticks and chiggers are common in tall grass and weedy areas. Avoid staying in areas that bugs are in most in order to reduce your risk of being bitten. Additionally, you should keep your feet safe from bugs you can’t see by wearing shoes whenever you’re exploring outdoors. Eventually, you will come into contact with some bugs. When you do run into a flying insect, it’s best not to swat, shoo or panic and flail your arms around. Instead, remain calm and move away slowly to avoid agitating the bug and getting bitten or stung. If you spend a lot of time outside, it’s inevitable that over time you’ll receive some bites. 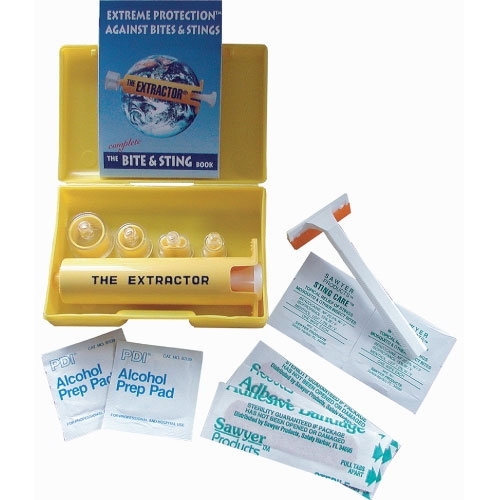 When you do get bitten or stung, the next best thing you can do is be prepared to treat the bites. Sting care wipes provide pain relief, a tick remover makes it easy to remove ticks from both humans and pets and for serious bites, an extractor pump can provide safe extraction of venoms and poisons. When traveling to a new outdoor destination, you should research what bugs you are most likely to encounter in order to best be prepared. Have your own tips for preventing bites and stings? We’d love to hear ‘em! Tell us about your methods in the comment section below!